It is a gross understatement to say that email has changed the way we work. It is probably one of the more important inventions in the field of computing and communication. Sending data has never been so much easy and quick. This has surely benefited our workplace proceedings and personal lives. Google provides one of the best email services in the world through Gmail, and it is the most popular email platform in the world. They are constantly updating and adding new features like offline access and others which is one of the reasons why Gmail has endeared itself to the hearts of people. We are often sharing files via email. But sometimes we need to send more than one file. 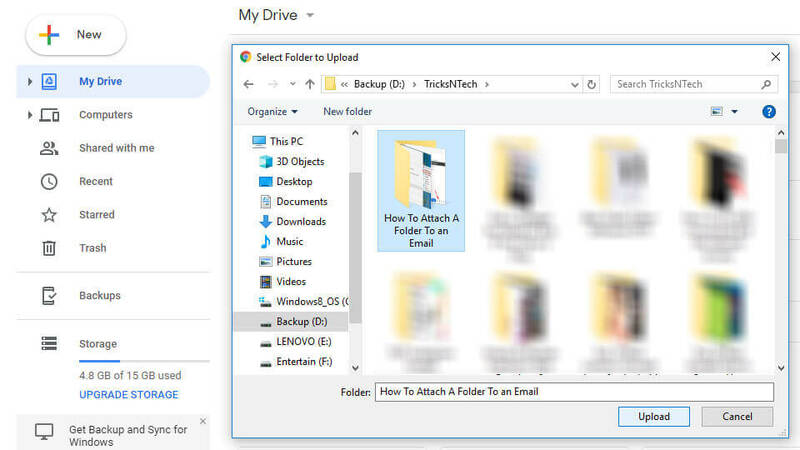 We can create a folder in our PC, put those files in it and if the person is nearby, can share it via pen drive. But how to attach a folder to an email? In this article, we will be mainly concerned with attaching a folder to an email and steps required to do so. However, we will also be listing out reasons why you should be using Gmail if you are not. Large Storage Space – Gmail offers a lot of storage space- 25 GB if you are using the Business version. Thus you won’t be hindered by storage limitation and can even store files in your account. This is a much better option than using pen drives and other storage media. Data Security – By using Gmail you access your data over a secured SSL-encrypted connection thereby providing data security. Your account is backed up on the Google platform hence providing additional layers of security and service. Spam Filtering – You can’t completely do away with Spam but Google Spam filtering service is probably the most effective one. Gmail filters advertising spam and also viruses and other phishing attempts as well. Offline Access – This is one of the relatively new features to be added to Gmail. You can access your Gmail account even without being connected to the internet and new messages will be received when you are online again. Having a Gmail account on your mobile means that you can also buy applications from the Google Play Store. You can also use Google Drive for storage which is a very huge thing on its own. With the business of today’s world attaching files one by one to email is quite a waste of time. In fact, even the recipient might get tired of downloading the files one by one. Fortunately, in Gmail, we can group all the individual files in a single folder and then email it across the recipient. There are two methods to attach a folder in Gmail and we will be showing you both. Navigate to the folder you want to email. Now, right click on that folder and navigate to “Send to“. 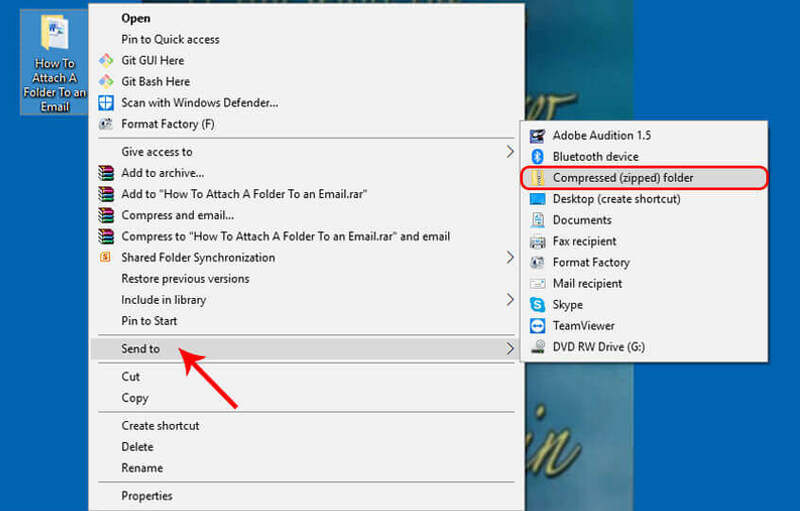 Select “Compressed (zipped) folder” from options given there. A new zip file will be created. You can rename it if you want. This is the file which we are going to email. You can also select multiple folders using this method. Now, open Gmail and click on the “Compose” button. Click on the “Attach files” button and choose the created Zip File. In the receiver’s part, after downloading the Zip file, right click on it and choose the “Extract files“. Now, select the location where you need the file to be extracted. Firstly, you need to upload the files to your Google Drive account. Hence, log in to the Google Drive web interface. Now, from the top left corner click the “New” button and choose the “Folder upload” option. Nextly, select the folder you want to upload. You can only upload one folder at a time. Repeat the process if you want to upload more folders. 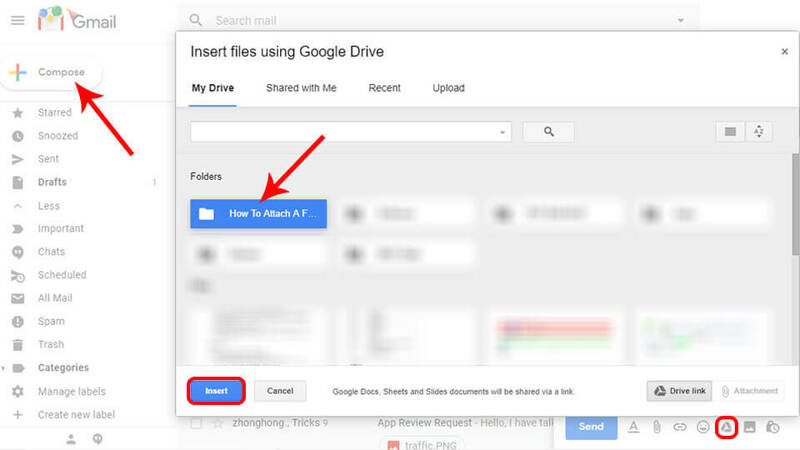 After successfully uploading the folder, go to your Gmail account. Click the “Compose” button similar to the above method. Now, click on the “Insert files using Drive” button. Choose the folder which you uploaded recently in Drive and click the “Insert” button. Additionally, you can share the folder or file with 2 options – Can view only or Can organize, add, & edit. So, be careful while sharing the file/folder via Google drive. 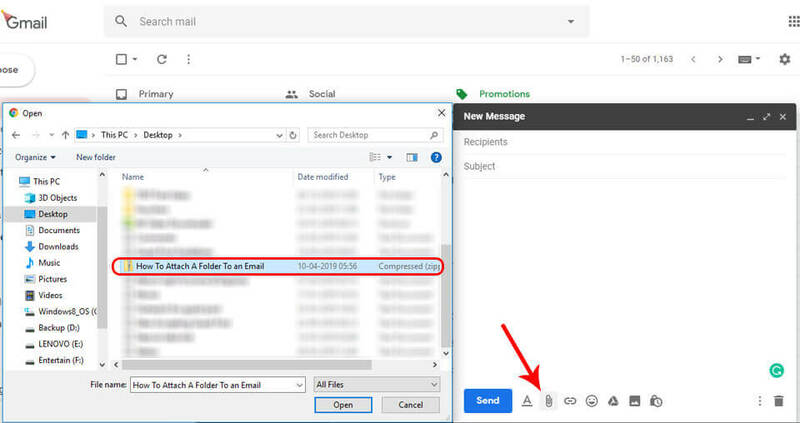 You can use this method to attach a folder to an email in your smartphone or tablet too. You just need to upload folder on your Google drive with the Drive app from Google. After that compose an email just like a normal one and attach the folder from Google drive. In this article, we have provided you with information on how to attach a folder to an email. Also shared how to share folder in Google drive. I hope, now you will be able to share the folder with your friends via email. If you have any queries related to the article then comment down below.